Imagine: You’re leaving on a trip to Europe, but can head out of the house without any luggage or carry-on bags. Once you reach the airport, your body is scanned and upon your arrival in another continent, a 3D-printed set of clothing and accessories are waiting there just for you. Is this financially feasible in today’s market? Most likely not, yet innovators like Janne Kyttanen are trying to make it as real as possible. Kyttanen and his gallery, Galerie Vivid, have displayed a set of items that could simply be emailed to your travel destination prior to your arrival and 3D-printed when you show up — these items include shoes, bags, as well as a full-range of jewelry. “If you feel like going to Paris, then you just leave and go. You don’t have to go home and think of what you’re going to pack,” Kyttanen tells BBC News. Tero Kuittinen of BGR describes Kyttanen’s creation as “one of the first steps towards conceiving what a travel pack of printable objects might look like, no matter how crude it will inevitably seem.” This ideology is surely a thought process to look forward to as 3D printing continues to evolve. It may not be very inviting to think of modern 3D-printed clothing as being all that comfortable, yet designers are not shying away from the material. The N12 bikini has gained traction within the marketplace, while the N12 designer Continuum has also created a line of stylish women’s shoes. In all, it may be some time before Kyttanen’s dream is accomplished by 3D printing, but that is not to say we won’t see it sooner than later. 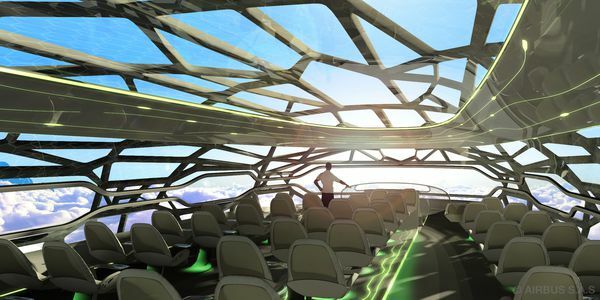 Now, if you thought that 3D printing hasn’t yet impacted your travel routine, Airbus may be proving you wrong. The aircraft manufacturer will begin rolling out planes with 3D-printed components in the very near future. As fuel prices continue to wreak havoc on the aviation world and manufacturers seek for any possible way to save weight, 3D printing has emerged as quite a viable alternative. 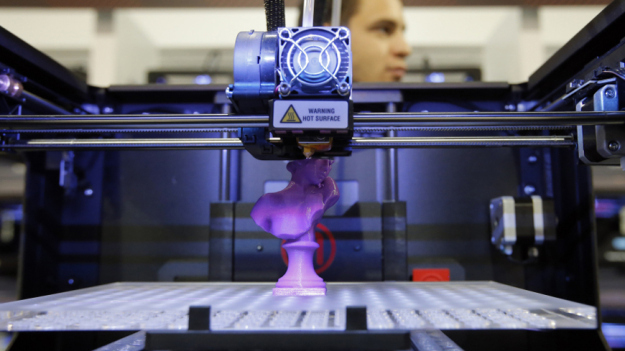 “We are investing a lot of money in aerodynamic improvement, in material, in noise reduction, etc., but 3D printing is probably the area with the highest gain over time,” Airbus executive Axel Krein tells VOA News. “It is also worth noting that industry giant GE plans to 3D print fuel nozzles for future jet engines. Whether you are e-mailing your clothing and luggage schematics to your travel destination, or flying on a fully 3D-printed aircraft, the medium’s impact on your travel routines is only going to grow in the coming years. This entry was posted in 3D Printing, Maker Movement and tagged 3D printers, 3D Printing, 3D Printing Travel, 3D-Printed Goods, BBC News, Maker Movement, Makers, Travel on July 31, 2014 by The Atmel Team.